"Sigma Force must try to stop forces of evil from new destruction"
Commander Gray Pierce arrives home on Christmas Eve, only to find out that Seichan, his pregnant lover is gone and his best friend's wife Kat is on the brink of death. Kat is the only one that saw the attack, but how to get someone in a semi-comatose state to speak? A neurologist may have the answer to that. Meanwhile, a terrified young woman witnesses a massacre by a video link and realizes that her invention is the reason for this and now she has to run. These two events will link together and once again Sigma must stop evil people out for destruction. CRUCIBLE is the 14th book in the Sigma Force series. And, I've read every single one of the books and I love this series. It's been a while since I read the book, but the story made quite an impression on me and now I'm just trying to gather my thoughts on how much to reveal. As usual, James Rollins adds some interesting technical aspects to the story. Then, we have Malleus Maleficarum, the Hammer of Witches, the medieval text about how to hunt witches. What has that to do with today's story? Let's just say that there are some evil people who have an agenda. And, Gray Pierce and the rest must not only find Seichan, but they must also stop these people from getting their hands on the invention. It's a thrilling book, one of the strongest in the series. 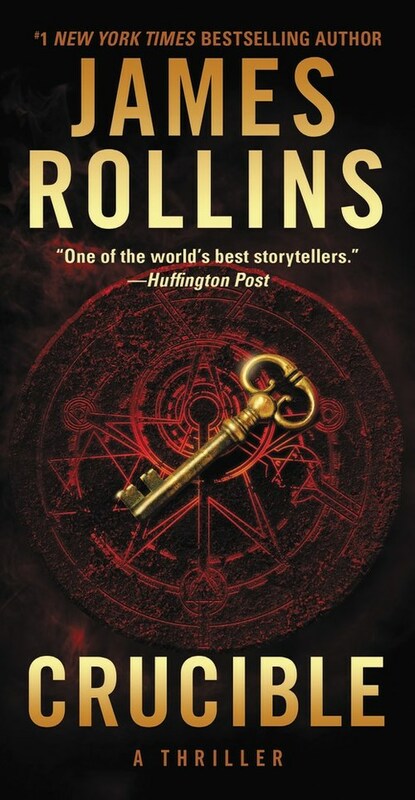 James Rollins really knows how to write thrilling adventure books so if that's your thing then you really need to read this series!